Welcome to plant based recipes, tried and tested by Wendy Woo! 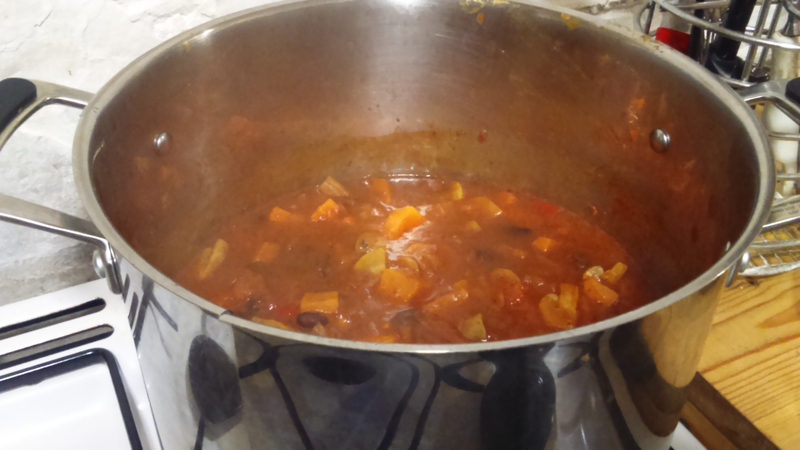 Today’s recipe is Sweet Potato Chilli, adapted from Holly Wakeham’s chilli on YouTube. It’s versatile and delicious with jacket potatoes, rice or pitta bread. Use a large pan with a lid. 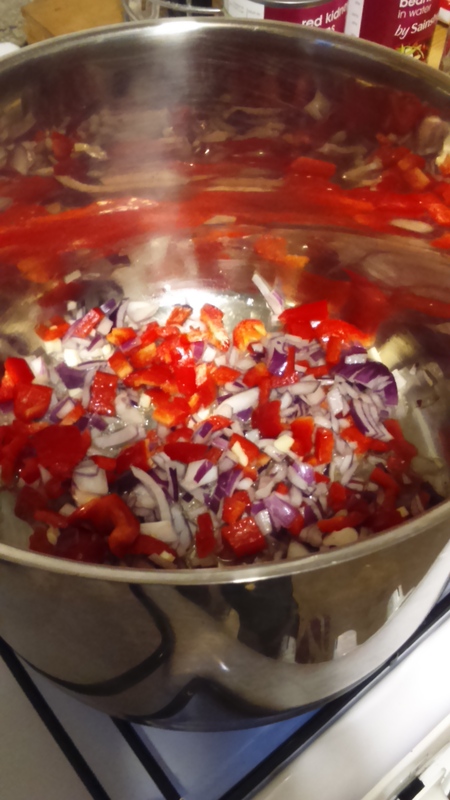 You can sweat onions, pepper and garlic on a medium heat with no oil and a little water if you wish, but I don’t mind a little oil so I added split chilli and chilli powder, cinnamon and cumin at this point, preferring to cook my spices. 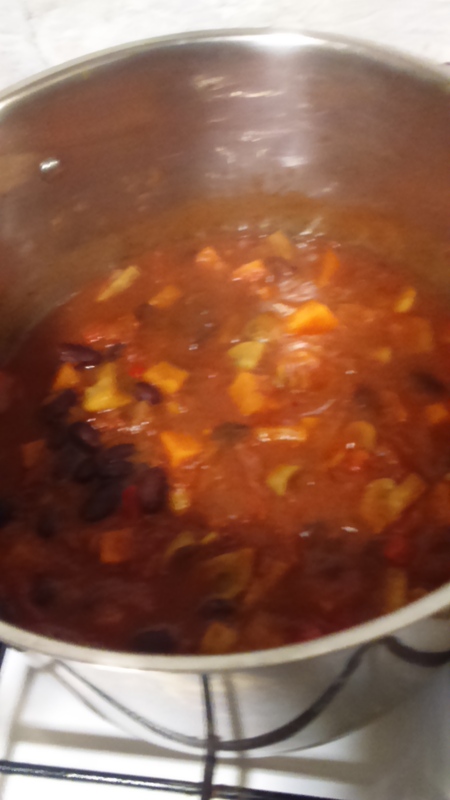 Add rest of the ingredients, stirring them in, except salt, pepper and sweetener. 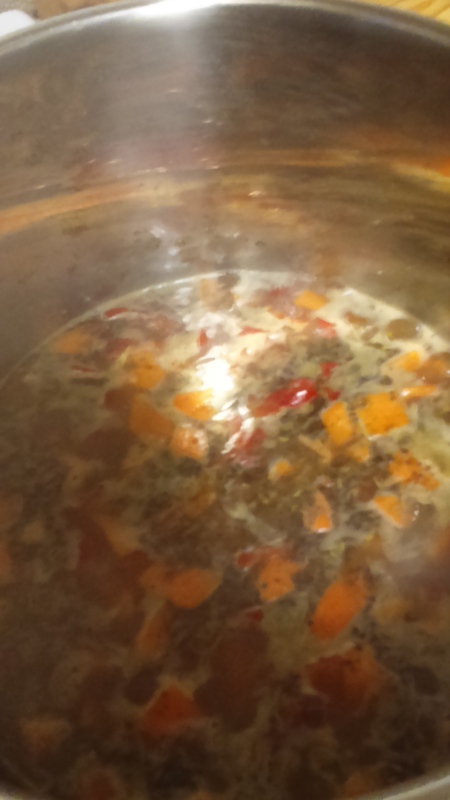 Simmer for ten minutes with lid on. Second time I made this, potatoes weren’t quite soft so I left with lid on for five more minutes. Simmer for ten more minutes with lid off to thicken. If using fresh chillis, remove at this point. Add salt (I used ½ teaspoon), black pepper and sweetener (I used one tablespoon of agave nectar) to taste. I hope you enjoy this winter warmer and will visit again for more Wendy Woo recipes from my little house in Wales. Do check out other features on my site including pages on my books, pixie coats, dance and magic.